Yesterday was my daughter's 4th birthday!! She was hyper excited about it. I mark the date in the calendar and every day for a month she marked the days until June 3rd. 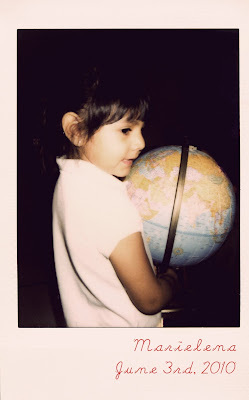 It was the first time that she was going to celebrate it at school, with a very special ceremony in which my husband and I were invited to share pics and tales from the moment she was born until her 4th birthday, while her classmates sang a song about how the earth goes full circle around the sun while she carried a earth globe and walked around a candle that represented the sun. Then they gave her "gifts from the heart". She received several hugs and "I love yous" and then we all sang happy birthday and she blow the candles. I loved the ceremony. I wish I had had one like that when I was a child and I'm very thankful my daughter gets to experience it. As her gift, I painted a big mermaid carrying a cake with 4 candles (She's a lot into mermaids right now) and she loved it. She even told me before bedtime "Thank you mom I loved everything" :D I'm a proud mom! Thanks so much for the good wishes and congratulations you sent via Facebook! She says thank you and I do too! I love you my little girl! Your precious daughter shares the same birthday as my baby sister! What a special day! Love the painting!!! 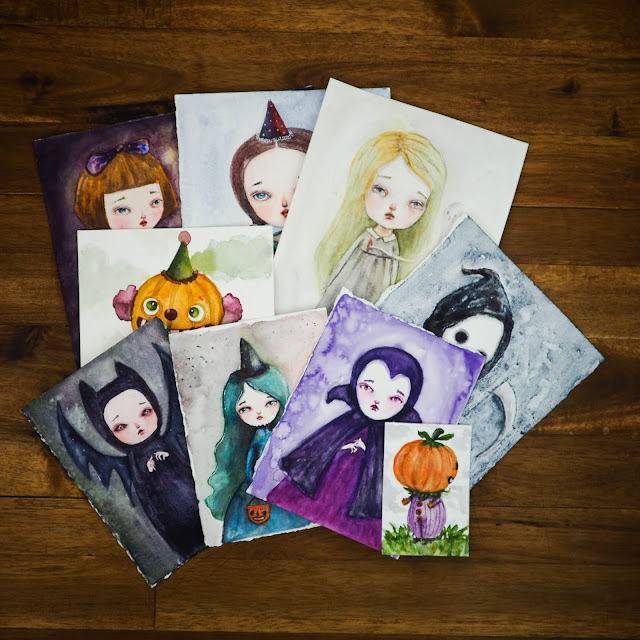 Your daughter is going to treasure that painting all her life! What a treasure to give her. Is the little doll to the left a gift too? It is beautiful! Happy Birthday to Marielena!! I hope you all had a great day!! the mermaid is lovely!! Oh Danita, what a lovely birthday she must have had, and what a wonderfull way her school celebrated it!! Made me "tear up" and I am not even pregnant!! Thank you for sharing this story! 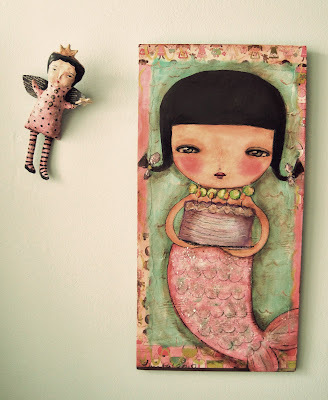 I LOVE the mermaid painting you did, what a great treasure. AHHHhhhh, your story about how your daughter's class celebrated her birthday made me tear up! (and I am not even pregnant) How wonderful. I LOVE the mermaid you painted for her, what a special treasure. Thank you for sharing this special story with us Danita. My little girl just turned 4 on May 9th...such a bittersweet occasion, huh?! They are full blown people now with complete thoughts and complex feelings, with the words to articulate them...yet just small enough to crawl into our laps and slide their little hands into ours....(sniff) They're growing up sooo fast! congrats to your little angel!